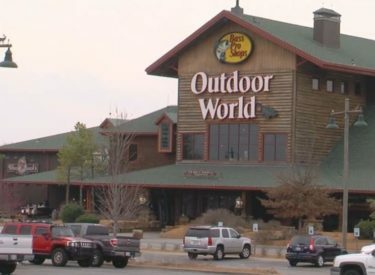 TULSA, Okla. (AP) – Bass Pro Shops has reached out to the Cherokee Nation after a photo of a Trail of Tears rifle at an Arkansas store caused social media users to call for a boycott of the business. Bass Pro Shops Communications Director Jack Wlezien tells The Tulsa World that the 1978 Winchester rifle commemorating the Trail of Tears was acquired from a trade-in. He says it’s not part of the store’s standard stock and has been removed from the sales floor. A customer in Rogers, Arkansas, posted photos of the rifle on Twitter. Many users criticized Bass Pro of profiting from a painful historic event. More than 4,000 Cherokee died in 1838 when they were forced to relocate more than 1,000 miles to Oklahoma. Cherokee Nation Secretary of State Chuck Hoskin Jr. applauded the company’s decision to remove the rifle.